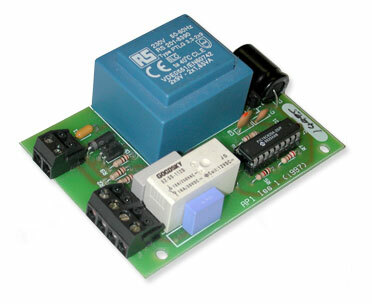 An add-on board that provides an autopan function to any AC, fixed speed pan and tilt head fitted with limit switches. It functions by monitoring the current flow to the CCTV panning motor and selecting the alternate motor whenever the current ceases (i.e. limit switch is activated). This facilitates simpler wiring to the panning head without the need for additional switches or other components to be fitted to the head. Suitable for most 24 - 240 volt AC heads.